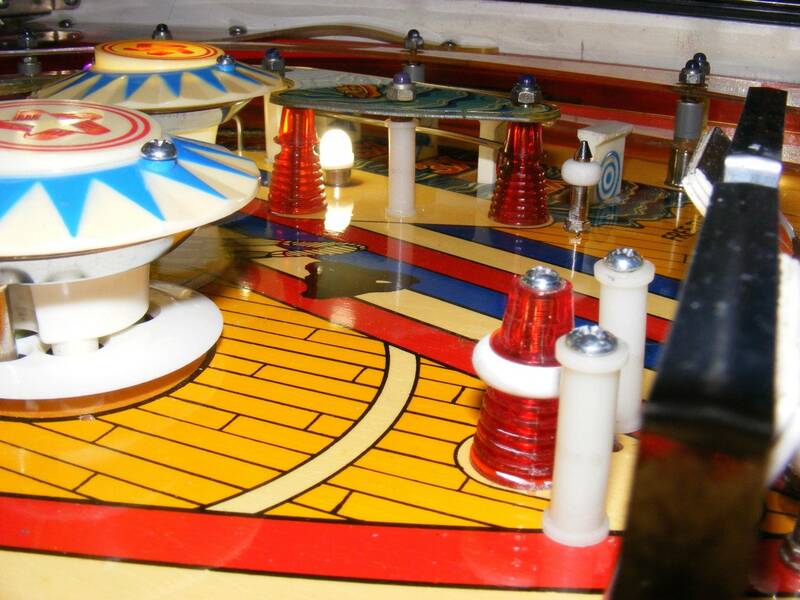 » Forum » All Pinball » Playing a game WRONG for a long time? » Playing a game WRONG for a long time? Playing a game WRONG for a long time? My question is, how long have you played a game incorrectly without realising? Mechanical things not working, or being incorrect parts. I installed the proper part yesterday and cannot believe how much of a difference it makes to the gameplay. 14 WASTED MONTHS! New to the pinball game, I bought a LOTR. I set it up and kept whatever settings was left by the previous owners. I played my first game and started banging the ball around playfield , while admiring the artwork and tripping out on the light show. Then , BooM , multiball.....then ..Wow another multiball. Balls are loading in the trough over and over as the ball I lose keeps draining. I am saying this game is great ...or I'm great (one or the other). As I am thinking, this is what makes Lotr amazing from what I have heard. After 10 minutes of non stop balls being reloaded and launches, my hands and fingers are getting tired, ..really tired. Damn man, this ain't so great anymore, something has to be wrong, this is kind of ridiculous. I open the coindoor, check the settings ............and everything is set to the easy settings and ball save time was off. It seemed as it was set up for the kids at the last household. It must of reloaded 50 balls in that session. Lesson learned people, check your settings, or be a statistic like me. Didn't take long to realize, but my BOP was missing the wire gate exiting the pops. About half the balls exiting there went right down the drain. That gate deflects the ball to the flippers. Much less frustrating that way. My Jurassic Park came with the one way gate by the pops on in reverse. It would launch a ball, straight off the gate and into the Power Shed pretty much every time. I thought it was misaligned coming from the shooter lane, so I maybe spent 20 minutes working on that first. Oops. Ha! My lotr came from a top tournament player so he had all the settings on extra hard and it took me a couple of weeks to realise. The reverse to your situation I couldn't start any multiballs. I had a Twister and didn't know there was also a magnet above the bumper lanes. The fuse was blown so it didn't work. Man, I loved hitting orbits non-stop without the magnet working. Later I saw gameplay video and the ball stopping above the lanes and was like, what? Replaced the fuse and the magnet worked and totally changed gameplay. I preferred the magnet off though because I enjoy hitting multiple consecutive orbit shots. Same here never knew that there was a magnet near the pops on twister played it for a while without realizing it did not work. Here's one. When I got acdc premium I stripped it down for a cleaning and when reassembling I accidentally put the plastic over the spinner switch so it wouldn't register. I never realized cause the spinner still made it's shotgun sound and I was busy playing and not looking at the dmd. I owned it for 3 months and only figured out my mistake months later while playing it one night at the guy's house who bought it off me. That's why I always do a factory reset when I acquire a game. I like my game to start off with defaults at the least, then tweak settings to compensate. That said, most of my games are set to default settings with minor adjustment to non-game changing play, like Free Play or flipper power etc. When I got family guy earlier this year the right orbit Spinner was hitting the top of the bracket. So it wouldnt spin more than half a turn before getting stuck. My first pin was a T2. Within a few days, I was hitting super jackpot after super jackpot. I think my score was around 500M. "I'm good at this," I thought. Then I had someone come over to fix a few things and show me what to look for... Turns out the drop target in front of the Terminator skull wasn't going up (I didn't know there was supposed to be one), so locking the ball was super easy... He fixed that for me (along with some other things), and my scores went down a bit. I still was able to get around 350M a few weeks later, but it was definitely harder. OK,when I was a newb I got a Ripley's! Played it for about 6 Months! Went to a arcade and played another one,and,noticed the shrunken Head lit up Red when it talked! !Mine didn't! The Red bulb was out and I didn't even know it! Neither did the guy who sold it to me!!!! for the ball to return to the shooter lane and earn a million points. Played my CV for the longest time not realising that the ball was deflecting off an orbit switch instead of rolling over it. I just thought the diverter was doing its job and putting the ball down the subway system. After quite a few games of CV on pinball arcade I realized my oribits weren't working properly. Plays way better now though. Not me but the guy who owned my TZ before me didn't know about the Power Ball in the game. When I went over to his house to buy the game, I lifted the playfield up and there was a full set of pinballs floating around in the cabinet. He says, "Ah so that's where all the pinballs disappear to! What's that white marble for?!". He was unaware of the Power Ball's existence lol! The important part of pinball is being the flipper, not using the flippers. My first pinball Ryan. It was a TOM. Upper solenoid controlled gate had the small spring popped off so ALL shots to left orbit stopped up top. Never did a ball go around that orbit on the right side habitrail. Fixed it in 2 minutes ... like a whole new game!! I routed Harlem Globetrotters On Tour with a rubber ring missing.